* Bless us with his abundance. * Bless us with the constant knowledge of the Holy Spirit living with us. * Keep us close to him, our lives resting in his hands. *when God’s face shines on us, we feel the warmth of his love. We see the light of his goodness. * the freedom of God’s grace replaces our feelings of guilt, shame and regret. * God’s grace gives us rebirth – we are new creations. *when our relationship with God is good, his face is turned toward us and we are within his will, under his protection and guided by his hand. The result is peace – peace that passes understanding because it’s not dependent on our circumstances. 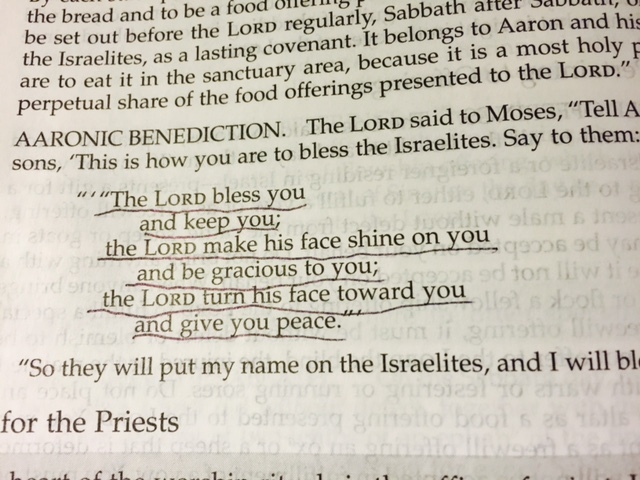 We get this peace by being close to God. Thank you for abundant blessings, Abba Father.